Face recognition is nowadays very common protection mechanism used in laptops and other home security products. Face recognition process includes hardware and software parts. Integrated camera and allied software mechanism in laptops identifies the facial expression of the administrator and creates a binary data log that is later used for identification. 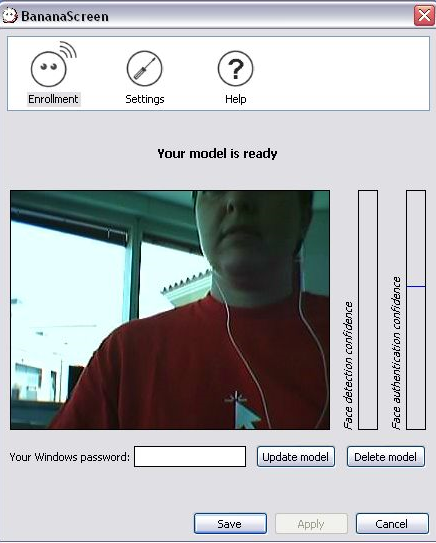 Face detection technology could also be used in personal computers using face recognition softwares and a webcam or mobile camera. Face recognition applications are usually sharewares. 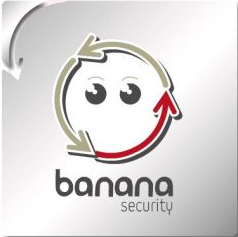 But BananaScreen from BananaSecurity team is freeware alternative for those commercial solutions. Face recognition software BananaScreen . Download BananaScreen free face detection software. I used one of the older version of BananaScreen which still works fine with Windows 7 . What you need to download and install this application and start your web cam. After all, position or pause your face in most visible form as its just like in normal conditions. Now create a new password and click on update model . BananaScreen will then store a binary version of your face proportions and other characteristics. This application doesn’t store any kind of images, but it use the above mentioned binary data to detect the face of the administrator. You can press Alt+L shortcut to lock your PC anytime. BananaScreen will now scan those faces appear in front of the cam. Lock will be opened instantly if it matches with the face properties in database.